Work up an appetite with a 2 hour canal tour in a kayak! When we return to our marina, Coriander Kitchen and Farm will be preparing a grown-in-Detroit meal for you. Look below for two options to get in on the fun! Hit the strait with DRS & dine with Coriander Kitchen and Farm! We'll paddle the east side canals and the Detroit River before returning to a multiple course, farm-to-table meal served at the water's edge! 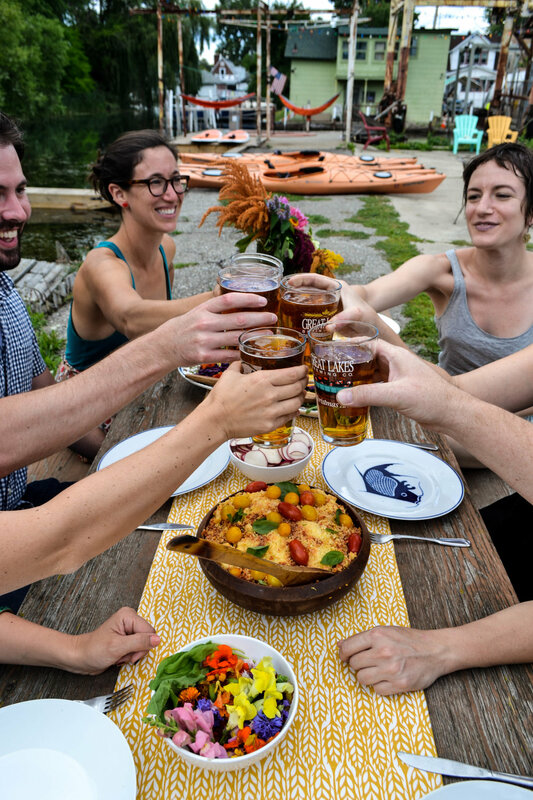 Paddle out with DRS on a canal tour and return to our marina to a boxed meal (sandwich, salad, dessert, and drink) prepared by Coriander Kitchen and Farm. Enjoy your meal on our patio, or take it to go!